You answer emails, take business calls, and manage documents on the go, so why not play on the go as well? 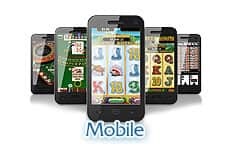 Time is money, and real money mobile gambling makes the time fly. Poker enthusiasts will find that mobile gambling is the next best thing to a heated Vegas tournament, and it's possible to enjoy the same action through both Android and iPhone devices on the go. What defines a top Australian online mobile poker site is ease of use, great bonuses, fast payouts, a wide variety of games, and multiple deposit options for Aussie players. Luckily, our experts have done the legwork for you to find out which of these top poker sites offer Aussies the best bang for their buck. Finding a great and legitimate app to play at is easy - providing you select a mobile poker site from our recommended list. Each of the mobile poker sites on our top rated list above ranked among the best mobile poker apps for iOS, iPhone and Android smartphones in Australia. Not only do these poker sites offer a fantastic standard of high quality gaming, they're also perfectly optimized for use with Android, iPhone, iPad, new generation BlackBerry and Windows devices. 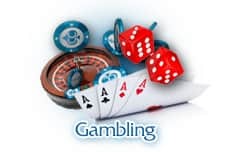 You can also find tons of top Australian mobile casinos which offer other games like slots, roulette and blackjack. In addition to the on the go aspect of play there are great bonuses for playing in a mobile poker site in Australia. The top online poker mobile apps for iOS and Android offer players a way to boost their bankroll whilst playing anywhere in Australia, whether on the bus or down the pub. Making sure you don't miss a beat when it comes to opportunities to play mobile poker for real cash. Australian players will find that their time zone difference in relation to many other avid poker playing countries is such that they will actually attain a better variety of poker players, and having a mobile app will ensure you're available to get in on the action wherever you are. Having an app installed on your smartphone for poker play on the go in many ways gives you an advantage that poker players in some other countries do not have. Aussies love their poker, and now you can get in on that action from wherever you are with your mobile. Is mobile poker legal to play in Australia? It certainly is. In fact, it is perfectly legal for players in Australia to access and play mobile online poker. Desktop play frequently - though not as much anymore - requires downloads to your computer. Because of that, you do not want to use up precious space on your mobile device. Also, you will only be able to play one table at a time. That can be a downer for poker players who are used to a lot of hands at one time. Not to worry, the convenience of playing when you want, where you want makes up for it. You can find more information on desktop poker at this page - Australia Poker Sites. How do I play poker on mobile? The most common way to play online mobile poker is to acquire an app from a site that hosts mobile poker play. 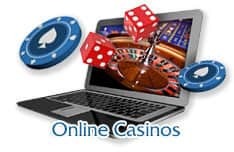 Another way is to go to online poker sites or casinos that offer no download poker, and then register. Either way, you will need, in most cases, a compatible smartphone, an email address, a secure Internet connection, a type of deposit handy, and a willingness to play on the go. Mobile poker sites are quite sophisticated and generally accept iOS, Android, and Windows devices. As long as your mobile device has either Java or Flash, you should be good to go. We have recommended some of the best sites for your immediate perusal. Simply choose the site, install the app, and register. The best way to start is to start slow. 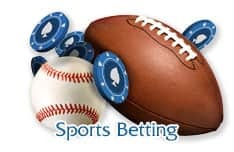 Many recommend beginning with low bets, or even playing for free when it is available to you. That is entirely up to you and the device that you are using. Typically, going to a poker site directly via your mobile phone may prevent you from getting all that you can on your smartphone. If you do, make sure it is a no download site. Apps are designed with mobile users in mind, so that may prove to be the better option. What is the best app for Australians? There's good news for poker players from the land down under: you have some of the best mobile apps available to you from around the world. We have tested out quite a few and have listed what we believe are the best apps near the top of this page. We highly recommend any site from that list. Not only will you need a good Internet connection, you will want a safe one. Most online mobile sites require a good Internet/data plan. Reliable Wi-Fi is a superior connection as compared to 3g or 4g. The issue with either 3 or 4g is that you can easily lose moments of connectivity. Mobile is great and so is the generous supply of public access Wi-Fi. But if it isn't password protected, hackers may access your information. Good news: the answer is not very much. The typical online table uses less than 100KB of data per hour. That should have little impact on your data plan. Check with your provider to make sure your plan is mobile online poker friendly. Can I demo the apps? Yes, in most cases you can and it is encouraged. Free play is a great way to get to know the lay of the land.